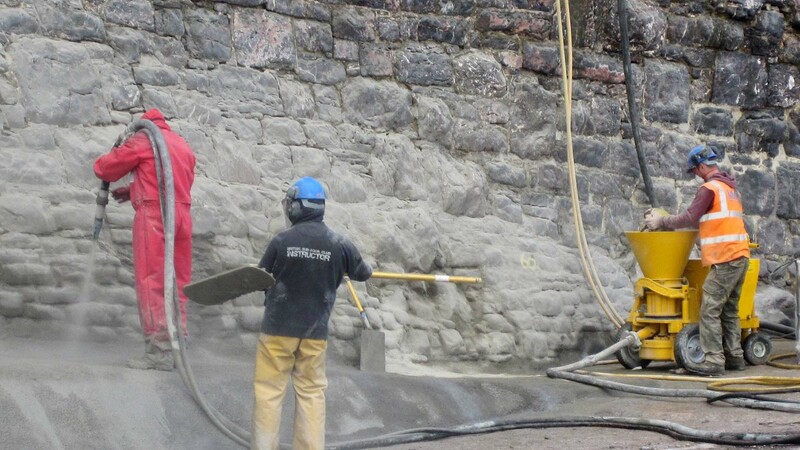 Saint-Gobain Weber's high performance concrete repair products have been used in the essential recovery of Meadfoot seawall, Torquay, Devon. The winter storms brought chaos and havoc to many parts of the country, particularly in the South West where coastal defences were damaged or breached in many places. Significant damage occurred to the Victorian sea wall at Meadfoot where thousands of tonnes of sand were washed out to sea exposing the base and foundations of the seawall. The wall defends the cliffs but also forms the roadside of one of the routes into this popular holiday location. 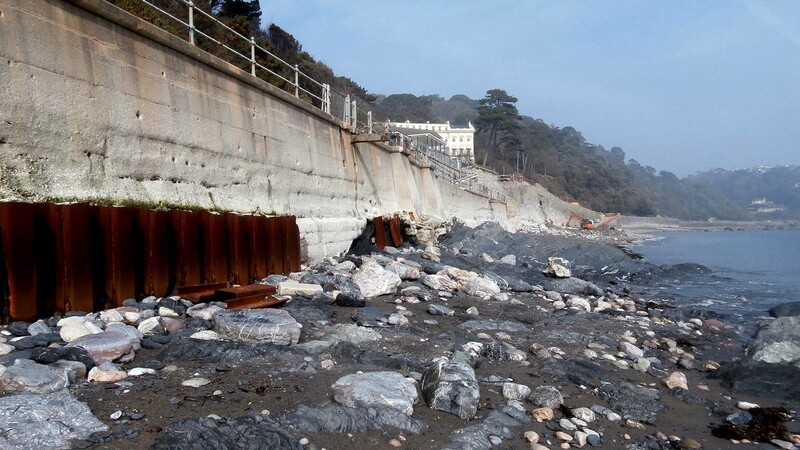 The Torbay Riviera relies heavily on tourism and it was essential that repairs were carried out quickly. Once the remedial project had been evaluated, designed and tendered, repairs were quickly underway to ensure protection and to reopen the road. There are main underground utility services, such as water and waste pipes, close to the wall itself which could also be damaged if protection was not quickly applied. The remedial design was prepared for Torquay District Council by local civil and structural engineers CASE Consultants. Millennium Marine of Newton Abbott was appointed as main contractor with the brief to repair the foundations of the wall, recreate the toe protector which reduces the wave impact on the structure, and finally to stabilise the wall fabric itself by forming a concrete skin barrier above and below the waterline. The 10-week project commenced with the foundation repairs where mass concrete had to be trucked to site and placed to reform the protection toe. Daily excavation was required where the tide brought back the sand that had been washed away. Saint-Gobain Weber's specialist construction concrete products were specified to facilitate this major repair below the tidal levels. 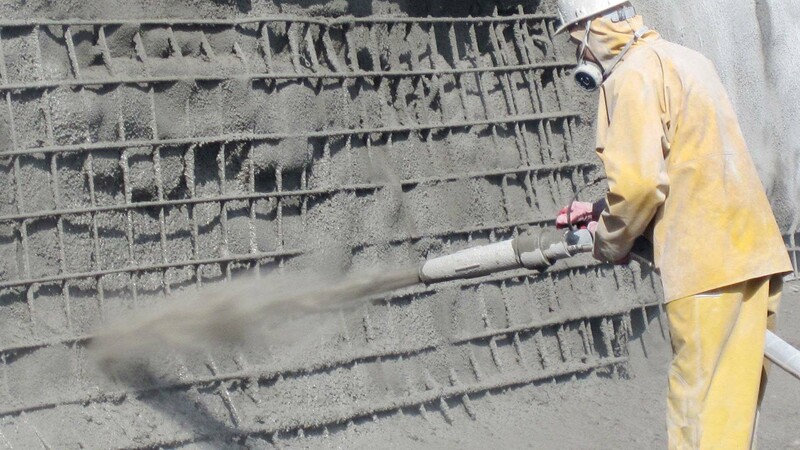 webercem spray DS is a polymer modified, dry-spray, structural repair concrete that contains inert limestone aggregates and dust suppressants. The formulation has been designed specifically for the dry process spray application where the dry material is delivered by air pressure to the nozzle where it is mixed with water and jetted at the target structure. This process reduces the rebound of the material from the structure and allows maximum application thickness. webercem spray DS gives high early strength with initial set in 2-3 hours, minimal shrinkage and a compressive strength in seven days of 49.8MPa. Timed application allowed initial setting prior to the return tide for the section of the wall below the water line. Steel mesh reinforcement was incorporated into the repairs. Similar attributes encouraged the use of webercem spray RS which hardens within a minute and will resist washout in just 10 minutes. This was particularly useful on the tide line and on sections of the wall where the surface application ranged from 100mm to 300mm thick. The third Saint-Gobain Weber product used in this project was an economical, cement-based, dry-spray concrete used in this operation for larger areas of the wall where large volume application was more appropriate. Larger sections of the wall were 'dressed' with this product as part of a related renovation programme to upgrade the beach chalets popular with tourists to the location. Tony Capaldi, project manager for Millennium Marine, is confident that the repairs will withstand time and the sea. He said: "The existing toe has probably been in place for 50 years and there had been numerous local patch repairs. This time it was a major job and with Weber's technical support and their first class products I'm confident we have a lasting repair in place. Visitors will not imagine the scope of the damage, or the speed of the repair project, but Weber spray concrete products helped us get the job done in record time."